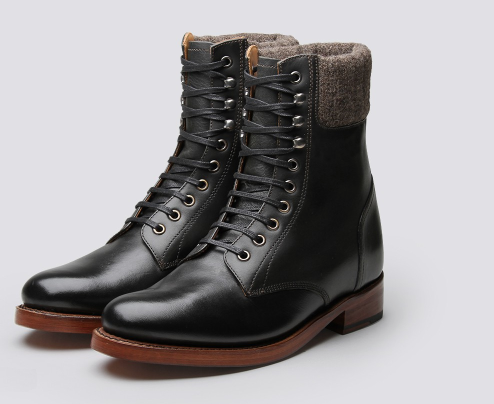 what to buy in the sales part 1: they’re still expensive, but they’re REALLY nice! The style name of this first pair just so happens to be the name of my home town on the Isle of Wight (where I am typing from right now!) which makes them all the more special for me. I LOVE these brogues – they’re very heavy but very comfortable, and the weight means they make a reassuringly loud noise when you walk in them. They have a two-tone sole which is GORGEOUS and the claret colour goes with everything. There are still plenty of sizes available online. The Grenson sale has been on since before Christmas, so you’ll need to act fast if you want to snap up a pair. 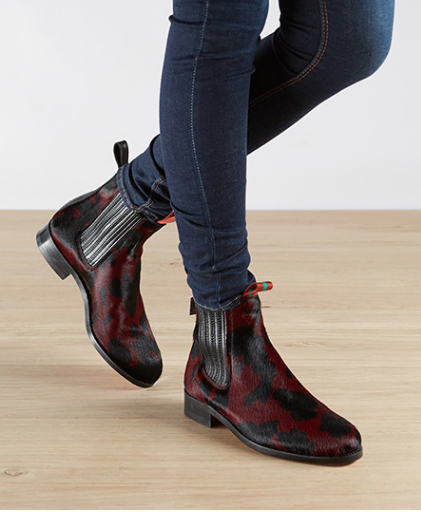 I’ve chosen to showcase these Amelia boots not just because they are dead nice, but because there are quite a few sizes left. This lovely cow print boot from one of my favourite brands, Penelope Chilvers, is well stocked, size-wise, and also comes in a Zebra print if you prefer monochrome. Well worth the investment as Penelope’s boots are REALLY well made. As featured in my book (and on my feet), these Northern Cobbler double monks have just been reduced. 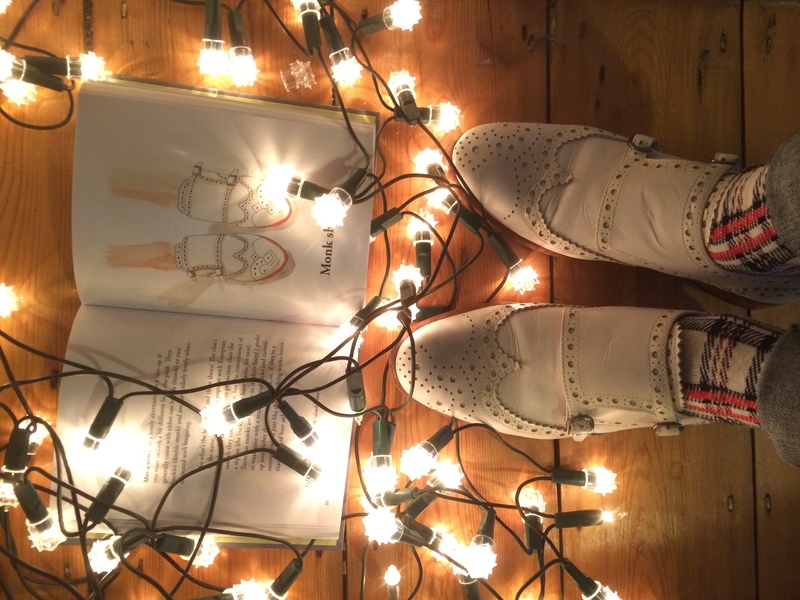 I get SO MANY compliments when I wear these shoes – they’re just beautiful. 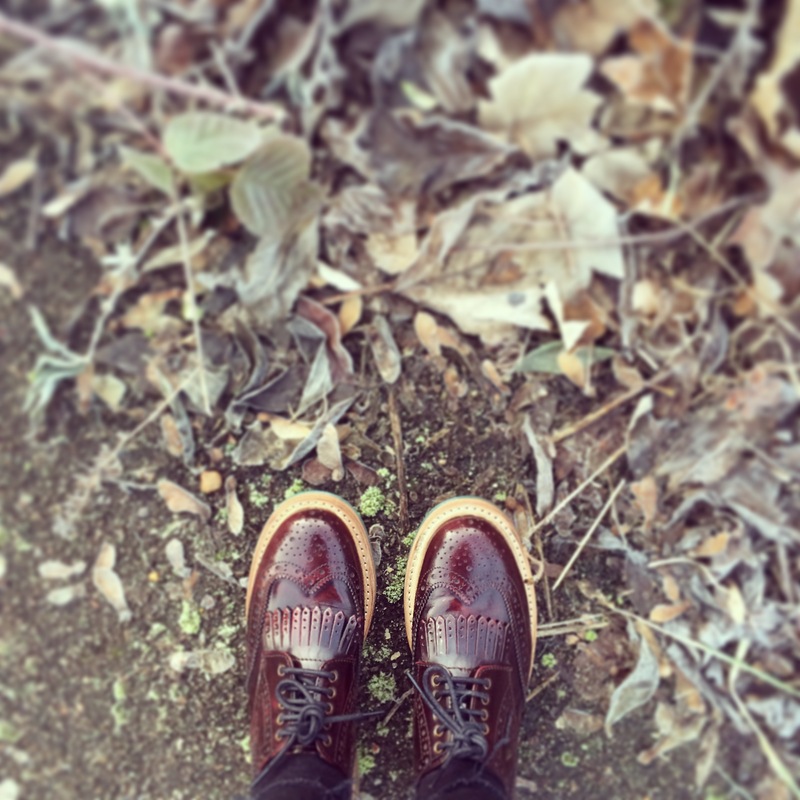 I love that the brogue pattern is unusually asymmetric and they’re super comfortable, too. If you didn’t get a copy of my book in your Christmas stocking, you can also pick one up on the accessories page of the Northern Cobbler website while you are there – and it comes with a free leather book mark! 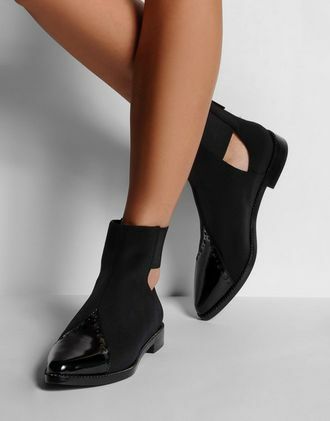 The shoescribe.com sale is looking great, not only because of these snazzy ankle boots by Kenzo, but all the other brands stocked there too. I pretty much only ever shop on this website when the sale is on as it’s so brilliant and well worth waiting for. The reductions are great and there’s absolutely loads to choose from – for bigger and smaller budgets alike. Finally, a brief look at Nicholas Kirkwood’s sale. OK, OK, I know these are still the price of a small car, but they’re pretty amazing. Nicholas Kirkwood is to shoes what Ed Sheeran is to pop music – innovative (I stand by this statement – that song Sing is really clever! ), quirky and EVERYONE wants to work with him. As well as this collaboration with Suno, Kirkwood works with top London Fashion Week designers Roksanda, Erdem and Peter Pilotto to produce their catwalk shoes. So if you can afford them, why not, I say. You’re buying into a piece of fashion history. Next time – what to buy in the sales that’s DIRT CHEAP (hurrah! ).